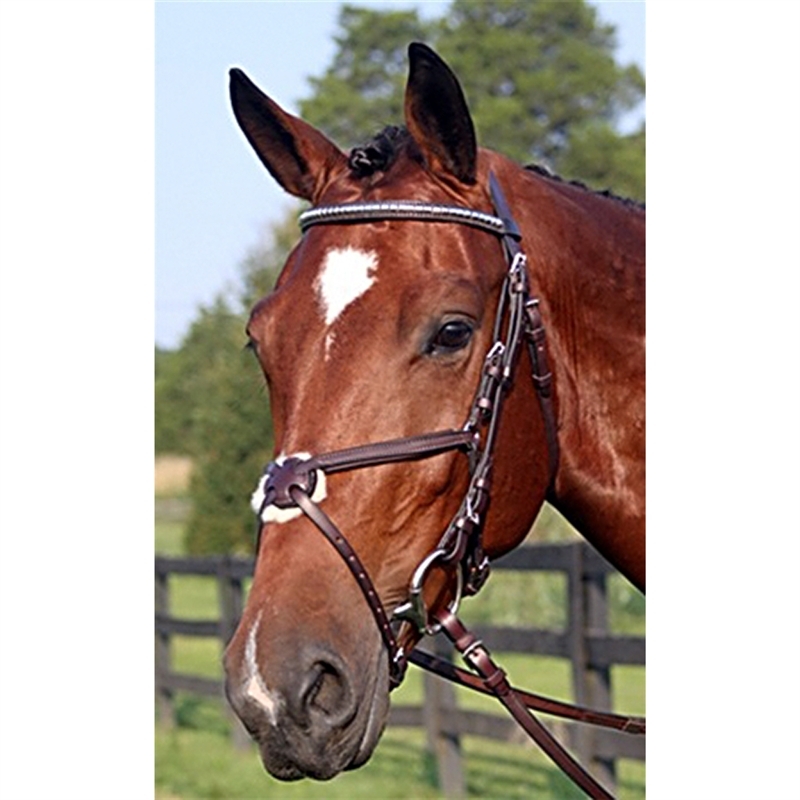 One of our most popular bridles - The Nunn Finer Figure 8 Bridle! Along with the Figure 8 having nice padding, the clincher browband helps set this bridle apart from all others. The center button padding is interchangeable with either pure sheepskin or neoprene, and makes for a wonderful addition to the bridle. 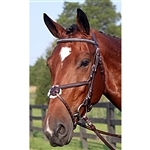 The ever-popular soft grip reins included with the bridle give it a value without compare. Hardware comes in two options, Brass or Zinc. Made in America. I have had this bridle for 4 years and it has held up amazingly well. I use it almost every day and not once have I thought of getting a different one. 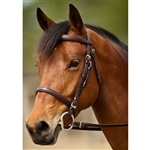 This is a great bridle. The leather is very soft and the fit is perfect on the horse’s face. It has a stylish look as well!